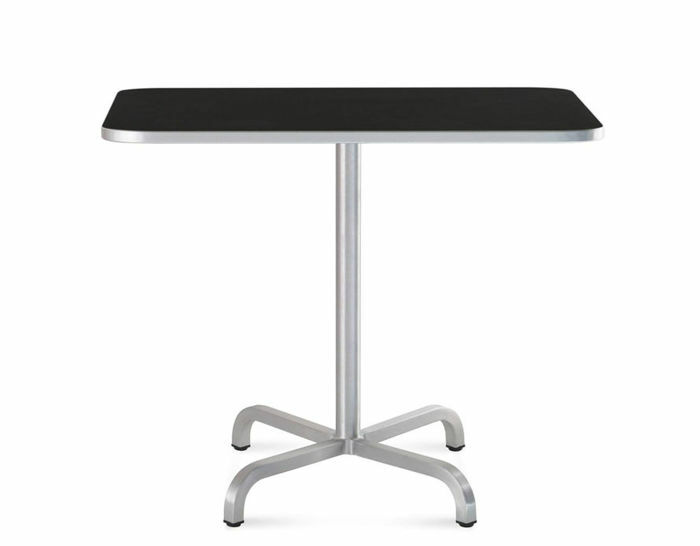 The goal; a simple all-aluminum series, made of recycled aluminum, super strong, fire proof, light weight, and of course, comfortable. Not so simple. These requirments gave way to the new 20-06 collection. 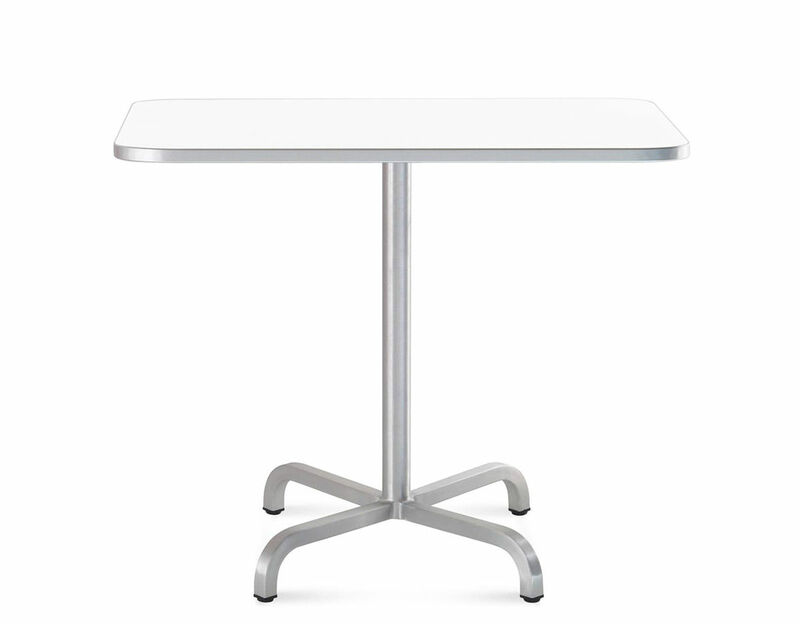 A sleek table featuring an all-aluminum frame, tempered for strength and hand made at the historic Hanover Pennsylvania factory using Emeco's proprietary "77 step process". An international studio for architecture, planning and design, Foster and Partners was established in 1967 and is led by Lord Foster. The practice has project offices world-wide with its headquarters in London. The practice's work ranges in scale from the largest construction project on the planet, Beijing International airport to its smallest commission, a range of door furniture. 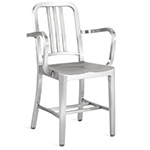 The DNA of Emeco's first chair, 10-06, runs through 20-06, but this new collection belongs to the new century. The 20-06 tables are offered with a brushed aluminum base and adjustable glides. The top is available with a white, black or gray laminate top or brushed aluminum top for outdoor use. 24", 30" or 36" square top | 30" h | 24, 27 or 34 lbs. 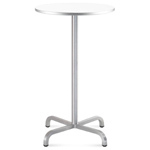 $1,250.00 + free shipping in the continental U.S. 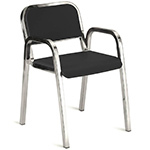 Founded in 1944 by Wilton C. Dinges, the Electrical Machine and Equipment Company (Emeco) holds on tightly to their foundation of craftsmanship, utilitarian design, and history. Their origins lie in a collaboration with the aluminum giant Alcoa to develop an indestructible and useful chair for military use in Navy submarines and warships. Today Emeco is led by CEO Gregg Buchbinder who sums up their vision as design plus craftsmanship. 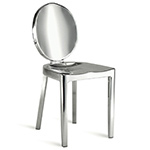 Looking toward the future, Buchbinder has brought in Philippe Starck and Frank Gehry. 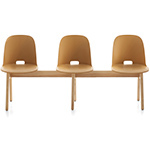 With Starck, they developed the Hudson Chair. 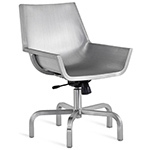 With Gehry, they created the acclaimed Superlight chair. In 2008, Emeco launched the Nine-O Collection by Ettore Sottsass and in the following year the Morgans chair by Andree Putman, designed for the restored Morgans Hotel.